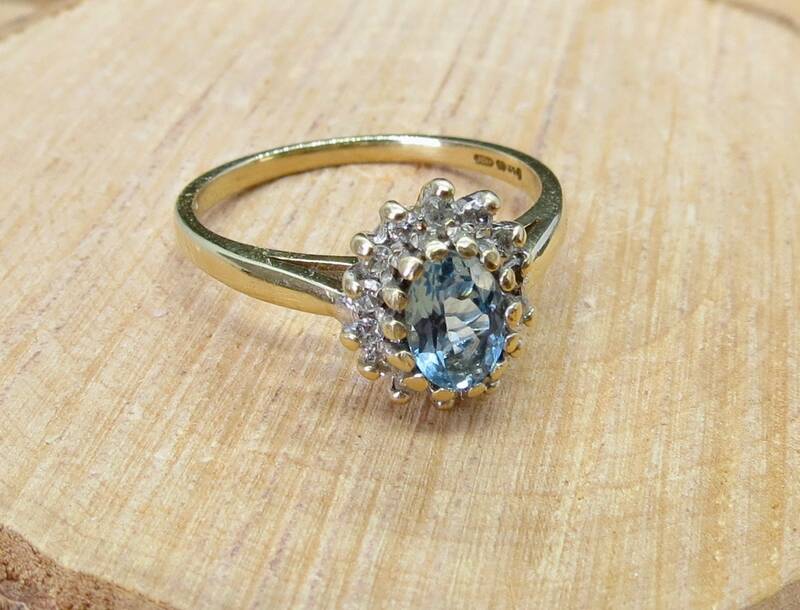 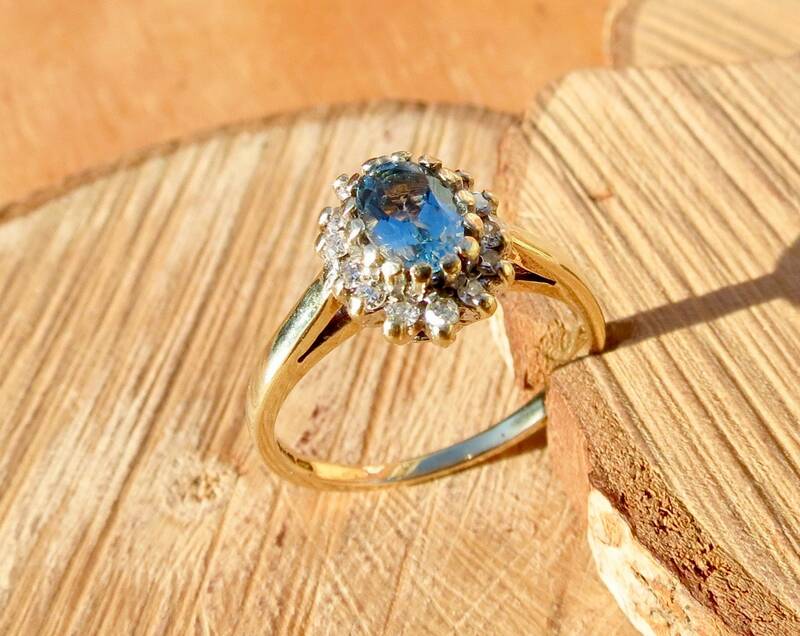 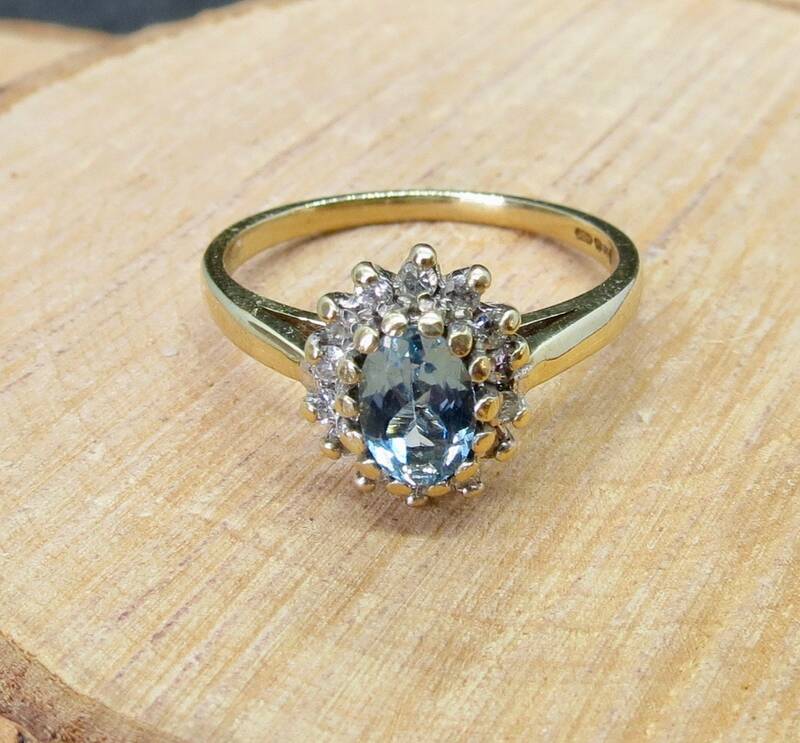 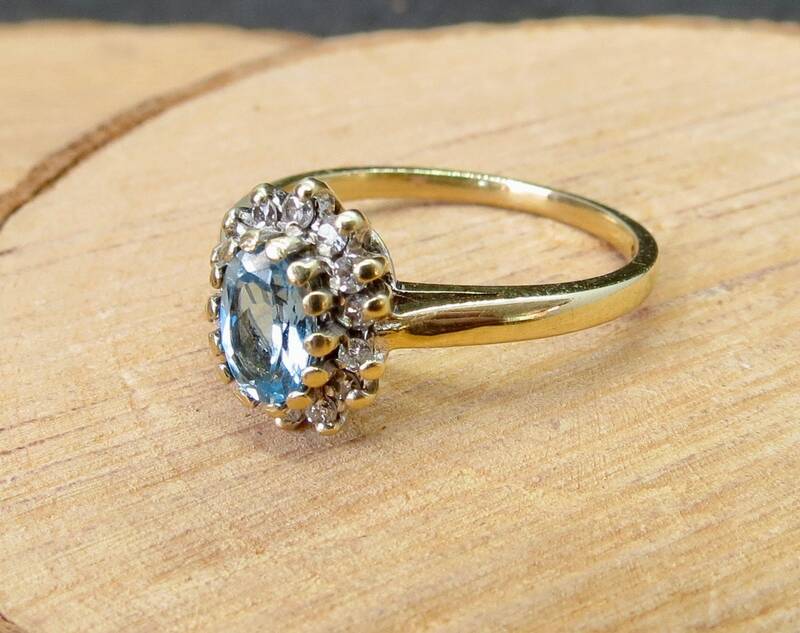 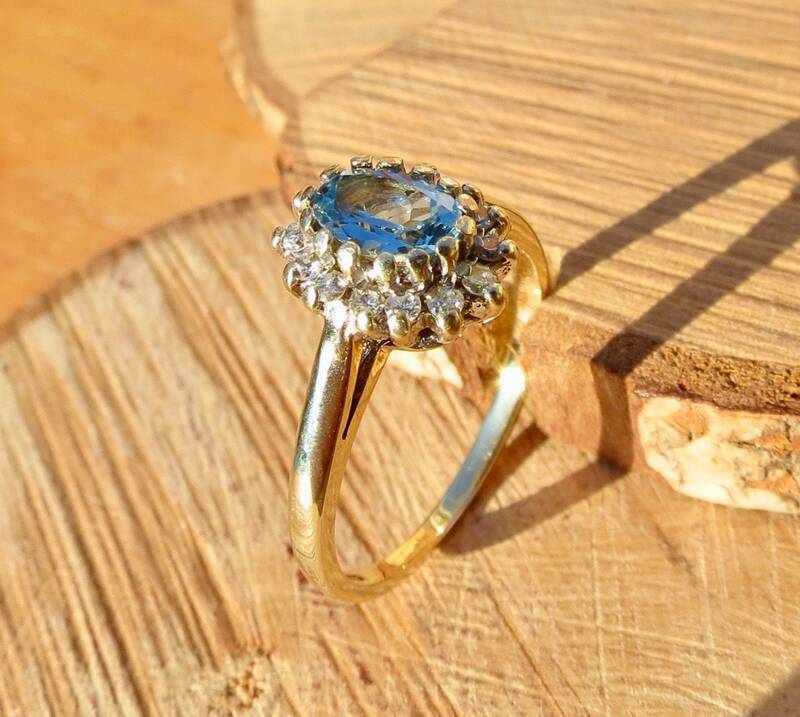 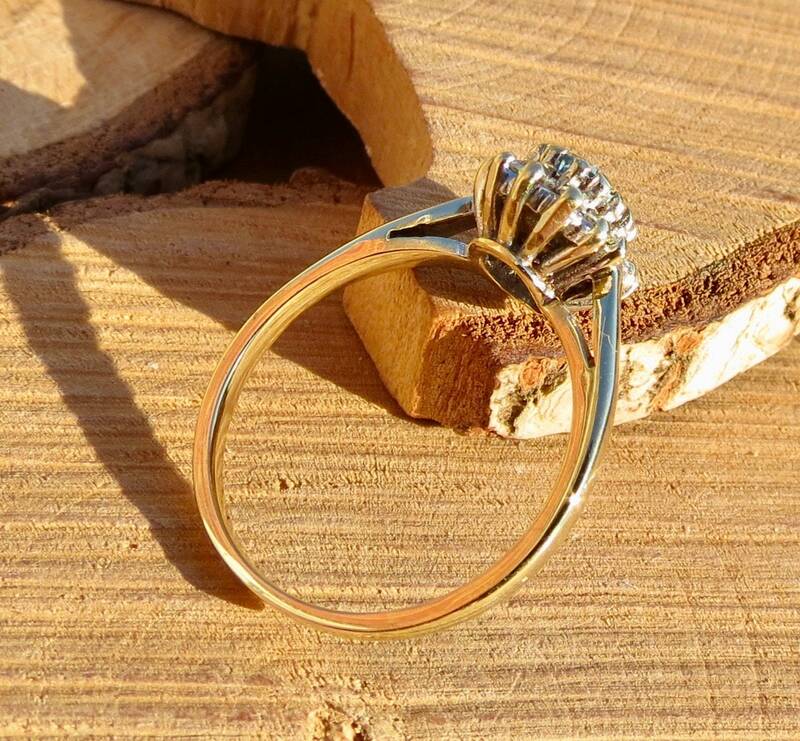 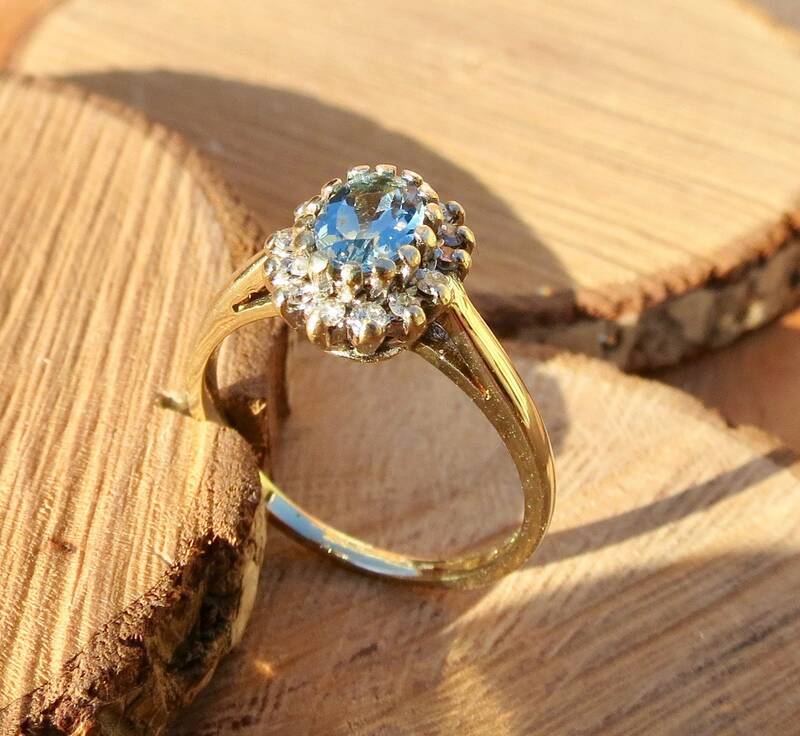 This 9k yellow gold ring has a oval cut faceted aquamarine with 20 points of brilliant cut diamonds in the halo setting. 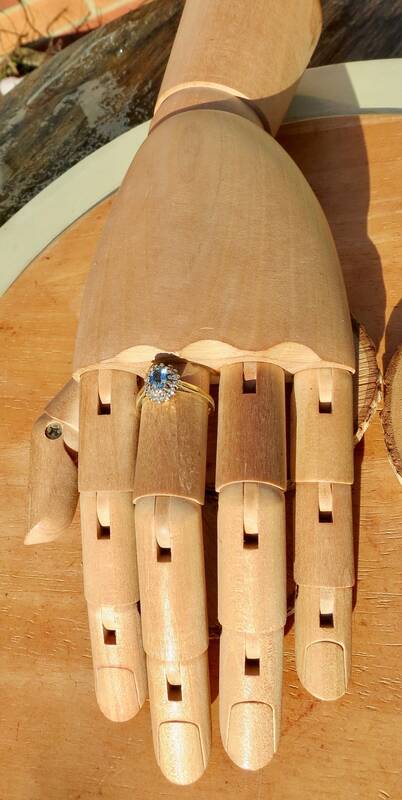 Arched shoulders lead to a plain shank. 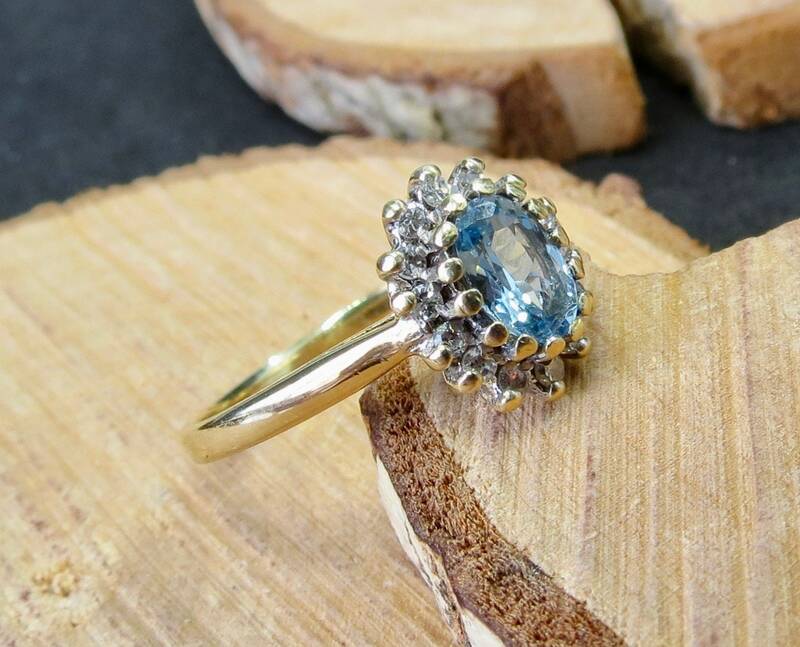 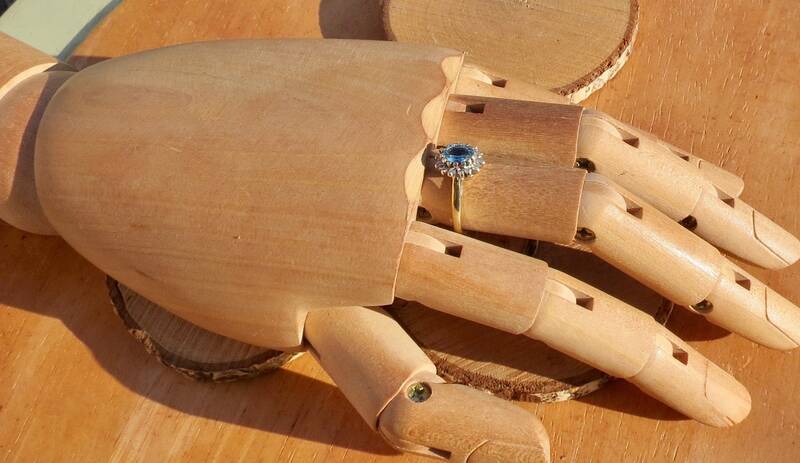 The 1/2 carat aquamarine has a pale blue colour, and can become darker blue in varying light.